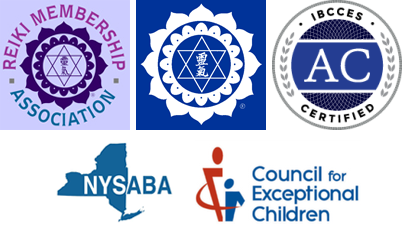 A Letter from Susan, Founder of Holistic Learning Center, LLC As the founder of the center, I am pleased to share our information as you pursue healthy alternatives to support your child’s development. Our mission is to support families with their quest for knowledge as it relates to the health, language, motor development, cognition, and social skills necessary for their children to reach maximum potential. In the New York site, we offer direct services to children and young adults as well parent training, school district training, and ongoing staff development, and individualized treatments. Our center offers expertise in the field of language, learning, behavior, and motor delays/disorders. Children diagnosed with Attention Deficit Disorder, Pervasive Developmental Disorder, Autism, Sensory Processing Disorder, Auditory Processing Disorder, Language Delay, Learning Disabilities, and Global Developmental Delay are offered a variety of services to support their growth and development. However, we see children beyond any labels that describe them. We recognize a diagnosis, but it does not limit us to the unending possibilities of growth and potential. In the Maui site, we offer education for parents perusing holistic alternatives for their child including yoga, meditation classes for students and their parents, reiki, cranio sacral therapy, and emotional release work. In addition, we teach parents to eliminate toxins from their home and body. We demonstrate how to use essential oils for making home products such as cleansers, sunscreen, lip balm, skin care products, and combinations for supporting health and wellness. Please contact us for further information at the address and phone number below or through e-mail on our contact page. Author of several articles and publications in the field of educating, advocating for, and providing services for the population with learning disorders including I’ve Just Been Told and Envisioning A Bright Future, Chapter on Operant Conditioning, ABA, and alternative treatments. Monthly writer for Holistic Education column for Best Version Media, Inc.
Kiley is a Board Certified Behavior Analyst and a NYS Licensed Behavior Analyst. Kiley received her Master’s Degree from Mercy College in Early Childhood- Childhood General and Special Education (Birth-Grade 6). She also attended Manhattanville College where she completed her studies in Applied Behavior Analysis. Kiley was a presenter at the Applied Behavior Analysis International Convention in Chicago, IL in May 2014 (The Effects of Daily Tact Instruction on the Emission of Pure Mands and Tacts). She provides Functional Behavioral Assessments, Behavioral Consultation Services and Behavioral Intervention Services for children throughout Westchester County. Kiley also provides parent training for families based on their individual needs. Josephine Rinaldi, RBT, M.S., Ed. Josephine Rinaldi is the trainer for Crisis Intervention and Prevention at the Holistic Learning Center. This training prepares staff to offer Positive Behavioral Supports and focuses on verbal de-escalation strategies and Antecedent Management techniques. She has been with the center since 2006. She has provided Behavioral Consultation Services and Behavioral Intervention Services for children and young adults throughout Westchester County, both in school districts and their homes. Additionally, she is an excellent parent trainer who provides an array of support and networking information for parents to pursue. Josephine received her Bachelor’s Degree in Elementary Education Pre-Kindergarten, Kindergarten and Grades 1 – 6 from Concordia College in 2003. She received her Master’s Degree in Special Education (Birth – Grade 6) from Long Island University in 2006. Josephine also received training Applied Behavioral Analysis, Listening Therapy, Crisis Prevention Intervention, Training in the Needs of Students with Autism and the Application of TEACCH methodology. She has also participated at conferences such as Powerful Classroom Strategies from Neuroscience Research, Functional Analysis & Treatment of Severe Behavior Disorders and Autistic Spectrum: The Bridge Between Current Research in Neurology & its Application to Clinical Practice. Nick is a Nationally Certified School Psychologist currently working for the Holistic Learning Center in the role of Parent Trainer. Nick graduated from the University of Massachusetts – Amherst in 2003. Following a career in business development and sports-talk radio, he earned his Specialist Degree in School Psychology from Texas State University – San Marcos. Nick served as an inaugural member of the Texas State University’s Learning Disability Clinic, specializing in diagnosis and treatment of specific learning disorders. While working for the Granbury Independent School District, Nick was a valued member of their Autism Evaluation Team, which utilized a group approach to initial autism diagnosis. Nick has experience working with numerous student populations, disabilities and behavioral issues, ranging from kindergarten through high school. Nick works tirelessly towards helping promote positive outcomes for the students and families with whom he works. 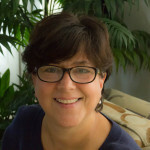 Christina Guarniero has been with the Holistic Learning Center since 2008. She is a Special Education Teacher and Behavioral Intervention Consultant. Christina graduated from Mercy College with her Bachelor’s Degree in Behavioral Science and her Master’s Degree in Early Childhood Education. Christina has received trainings in the needs of students with Autism, Applied Behavior Analysis, and Crisis Prevention Intervention. Christina has also participated in the following conferences: Autistic Spectrum: The Bridge between Current Research in Neurology and it’s Application to Clinical Practice, Powerful Classroom Strategies in Neuroscience Research, Functional Analysis and Treatment of Severe Behavior Disorders, and Teaching Social Behavioral Skills: Students with High Functioning Autism. Nancy Kaplan is a Licensed Clinical Social Worker. She has been a Parent Trainer with Holistic Learning Center since 2010. She works to help families to cope with their child’s developmental, behavioral, medical, and/or learning issues. Nancy has been in private practice since 1994. She does individual, marital, family and group psychotherapy, with a focus on special needs children and their families. Nancy presents workshops for professionals and parents on the use of positive strategies for gaining cooperation with children. She has been providing Parent/Family Training for Early Intervention and The Committee for Preschool Special Education since 1998. Nancy spent 5 years as an Ongoing Service Coordinator for HTA of New York. In this role, she coordinated services (Occupational Therapy, Physical Therapy, Special Education, Family Training) for children with developmental delays, in the Westchester County Department of Health Early Intervention Program. Nancy was a discussion group leader for Parent/Child programs at the YWCA of White Plains for 3 years. She also spent 3 years as a Medical Social Worker, covering the Ob/Gyn inpatient and outpatient services and intensive care nursery at Rochester General Hospital. Nancy is a member of the Academy of Certified Social Workers and the National Association of Social workers. 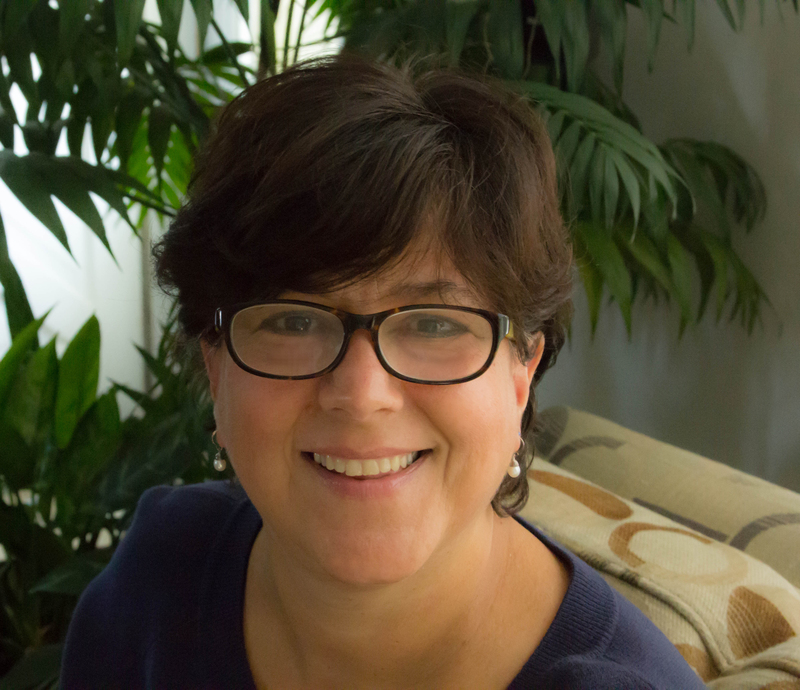 Christina Lurentzatos has been with the Holistic Learning Center since 2012. She is an accomplished and results-driven Special Education Teacher and Behavioral Intervention Consultant. Christina graduated from Long Island University in 2008 with a dual Master’s Degree in Elementary Education 1-6, and Students with Disabilities 1-6. Christina has received trainings in the needs of students with Autism, Applied Behavior Analysis, and Crisis Prevention Intervention. As a Registered Behavioral Technician, Christina has received additional training in Principles of Behavior: Reinforcement, Functions, and Interventions. Christina has had notable success in providing behavior intervention consultation as well as parent training services which provide both students and parents the skills and tools required for their success. As a Registered Behavior Technician, she is able to work with students using data collection as a scientific tool for teaching socially relevant behaviors. Adrienne has joined the Holistic Learning Center as an Administrative Coordinator. As a former Director of Special Education, Chairperson of the Committee on Special Education and Preschool Special Education, School Psychologist and Special Education Teacher, she brings a strong background in working with Students with Disabilities and their families. She holds permanent New York State Certification in School District Leadership; School Psychology, Special Education (Grades K-12) and as a Teacher of the Blind and Visually Impaired. Adrienne received a Bachelor of Arts Degree in Psychology from the College of New Rochelle; a Masters in Professional Studies in Special Education from Manhattanville College; a Certificate of Advanced Study in Educational Leadership from the State University of New York at New Paltz. She has also completed the Intensive Teacher Institute-Teacher of the Visually Impaired Certification Program at Hunter College and Community School Psychology Certification Program at the College of New Rochelle. Ashley Thomas has been with Holistic Learning Center since 2012. She began as a certified Teaching Assistant, Behavioral Consultant and Job Coach. She now provides Behavioral Consultation Services and Behavioral Intervention Services for children and young adults throughout Westchester County, both in school districts and their homes. She also provides the families with parent training to support and network information for parents to pursue. In addition, she is skilled with transitioning young adults from a school setting to a work environment. Ashley received her Bachelor’s Degree in Liberal Studies from Purchase College in 2013. She has recently graduated from her dual Master’s program in General and Special education in August of 2017. Ashley has received trainings in the needs with Autism and Applied Behavior Analysis. She has participated in the Vital Links Continuing Education for Innovative Practice where she became a trained provider for Listening Therapy. As a Registered Behavior Technician, she is able to work with students using data collection as a scientific tool for teaching socially relevant behaviors. Stacie has been in practice as a Speech-Language Pathologist for the past sixteen years. She is a part of the educational team working at the Holistic Learning Center. Stacie received her Masters of Science degree in Speech-Language Pathology from Syracuse University. She is a certified teacher of the Speech and Hearing Handi-capped. Stacie provides diagnostic evaluations, speech and language therapy, oral-motor therapy and PROMPT therapy for children ages 16 months through 26 years. She is PROMPT trained in Levels I and II. Stacie has experience working with children who have been diagnosed with Autism, Auditory Processing Delays, Apraxia, Down’s Syndrome, hearing impairments, phonological delays/disorders and articulation de-lays/disorders. She utilizes picture communication systems (PECS) and augmentative communication devices when needed and consults with other members on the child’s team to promote carryover. Stacie has knowledge of Individualized Education Plans (IEPs) and goals as well as experience working in both public schools and clinical set-tings. Stacie provides personalized and unique speech and language therapy based on each students strengths and needs. Jacqueline is a Speech-Language Pathologist who received her Masters of Science degree from William Patterson University and is currently working at the Holistic Learning Center. She has been in private practice for 19 years treating clients ages 2-24 years with various diagnoses including; developmental delay, phonological disorders, autism, dyspraxia, cerebral palsy and down syndrome. Jacqueline specializes in treating children dyspraxia of speech, she is PROMPT trained and utilizes oral placement therapy strategies in additional to having a strong background in oro-motor and feeding therapy for both children and adults. She has an extensive background in assessing and implementing augmentative communication systems for her clients who are in need of an alternate method of communication. She is available to create home therapy plans for carryover of therapeutic goals to parents, ABA therapists, occupational therapists, classroom teachers and school based speech language pathologists. In addition to her clinical work she has experience working for the NYC Board of Education and public schools in Westchester county. Currently, Jacqueline is treating clients in the clinical setting as well as providing consulting services to various public and private schools.